The LOLAs Bootcamp at FiT is a comprehensive fitness program designed to make the biggest change in your body in the shortest amount of time! 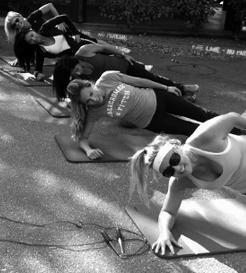 Bootcamp uses functional movements in workouts that are constantly varied to build strength and cardiovascular endurance. Coaches focus on safety first, always teaching correct technique and form, while making your training fun and sustainable over the long term. Using predominantly bodyweight exercises, in a group setting that’s both supportive and competitive, participants eliminate training plateaus, improve health, increase fitness and enhance their overall wellbeing.